~Are you planning on publishing an audiobook version of your novel? Why or Why not? 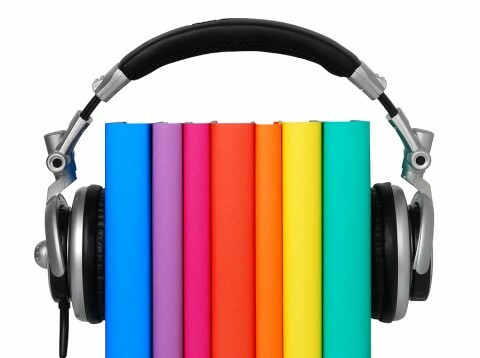 ~If so, will you self-publish your audiobook or will you choose an audiobook publishing company? This is why I’m really all about digital publishing – it’s so much more accessible for people with a variety of disabilities. Screen readers, increasing font size and arrangement (white on black, black on white), changing typeface, leading and page layout, easier to hold/use … sure, you don’t get people who prefer print reading, but for those of us who have struggles accessing print books, digital books open up a world of opportunities. I love them. Honestly, I don’t think I could afford to make a decent audiobook myself (and I stutter/speak fast, so this would be genuinely difficult for me to do with any competence) or pay someone else to do it, so I can’t see it happening at this point in time. It’d be cool to do it in the future, but I’d need the money to do it right (and pay someone else to do it). For the moment any readers of mine with vision disabilities will have to rely on screen readers. Completely agree, there needs to be more disability awareness of stuff. For example, some of Michael Connolly’s audiobooks are abridged, as in the publisher has skipped a few chapters or skimmed details as a cost cutting measure, and it really pissed me off. However money is definitely an influencing factor, it’s one of things that put me off about audiobooks was the cost involved in producing one. That’s just insulting – the abridged audiobook. Seriously insulting. Wow, people who prefer to listen or must listen as their sole way of accessing the work don’t get the whole story? If I were the author I’d be so damn pissed. Do it properly or not at all. Actually, though – a chapter from Whatever Great-Aunty Lizzie Says underwent the Six Hats Workshopping in AFW with Tracey, and it was hilarious to hear it read aloud. It’d be freaking brilliant to get a whole cast to record each character, more like a podcast/radio play than an audio book. Maybe one day I’ll be famous enough and rich enough to make that sort of thing happen, because the Port Carmila stories via podcast/radio play – especially with a cast that plays up the humour/exaggeration, as did my Six Hats group – would be hilarious. Lizzie is funny in prose, but spoken aloud she’s absolutely hysterical (if I say so myself, which I totally do).